Three suicides occurred within the past three weeks, a time period also shaken by the shocking suicide of beloved comedian/actor Robin Williams, in my small (about 30,000 in population) Minnesota town nestled between the beautiful bluffs and the meandering Mississippi River. If it weren’t for my monthly Bunko outing, two of these local tragedies would have remained unbeknownst to me. These local lives passed with not much media mention. The first of the local suicides and the most publicized with a full newspaper article (not just an obituary or blurb as the other two received) even downplayed the death with the title, “Woman Dies After Falling From Winona Bridge.” Falling? So we are sweeping her suicide under the rug as an accidental slip of foot when she was on the river side of the safety guard? The second of the three lost to suicide was a senior at the high school this year, bringing the total of high school suicides to 3 in the past 1 ½ years. The shroud of secrecy surrounding all five of these local deaths casts a shameful veil, like the person actually did something wrong. My heart goes out to the families and friends for their inconceivable losses of loved ones that seem more like victims to me. That’s right, victims. We all are. Victims of a misleading mental and physical health care system and wrong information. 1. Wrong is dichotomizing the treatment of health into two unconnected realms. Mental and physical health are not separate. My elevator spiel describing myself as a Certified GAPS™ Practitioner is “when you heal the gut/digestive system, you heal many mental and physical illnesses”… including depression. Both mental and physical health are connected. The purpose of digestion is to get nutrients out of food so the cells in our bodies can function properly, including our brain cells. Many people’s digestive systems are not working correctly, therefore nutrients cannot be extracted from food and the cells (including our brain cells) end up malnourished and malfunctioning. In addition, many people eat foods that are harmful to the digestive system, contain little or no nutritional value, and impose a negative toxin burden on the body. 2. Wrong are antidepressant medications having suicide as a side effect. In 2004, the United States Food and Drug Administration required pharmaceutical companies to warn consumers about suicidal thoughts and behavior on antidepressant labels. This means that antidepressants may make a person depressed enough to kill himself/herself. Suicide is counterproductive to healing. I was unable to find out if any of the local victims of suicide or Robin Williams were taking antidepressants at the time of their deaths. This piece of information is often omitted when it comes to suicide (and school shooting) news reports. As much as we are not talking about suicide in Winona, MN, the conversation about the safety and effectiveness of antidepressant medications is similarly limited. The 1 in 10 Americans currently on antidepressants could benefit from knowing the dangerous repercussions of psychotropic drugs. 3. Wrong is the idea that mental illness is a lifelong burden to bear. I wrestled with the concepts of acceptance, compassion, and healing in my last blog post, Miss Compassionality. Let’s show acceptance and compassion to those struggling with depression. Let’s share the National Suicide Prevention Lifeline, a toll-free number 1-800-273-TALK (8255). But, let’s also collectively move forward to healing and happiness. Given real, nourishing food our bodies (and brains) know how to heal. 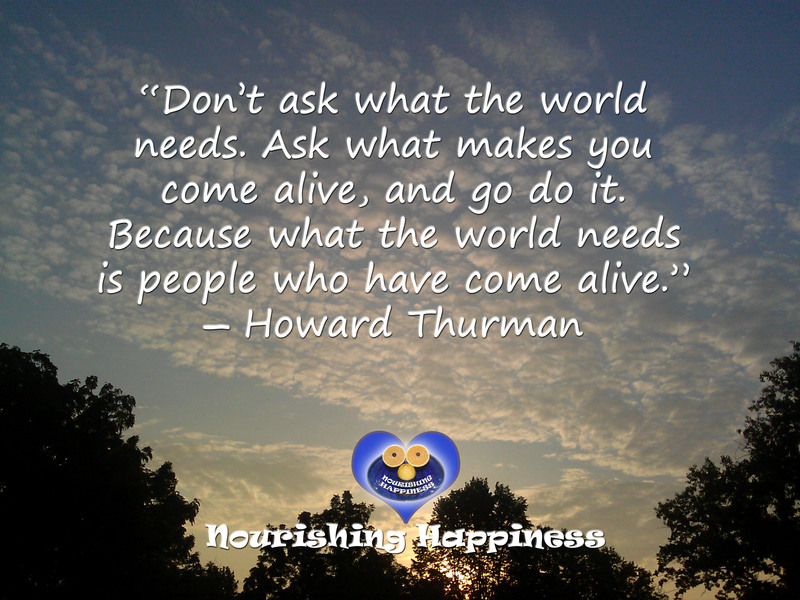 What makes people come alive is real nourishing food! You matter! 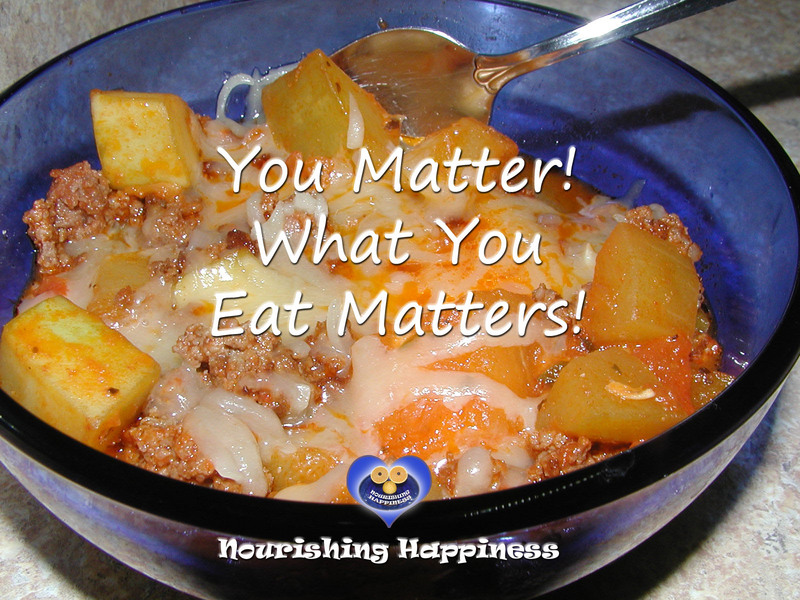 What you eat matters!